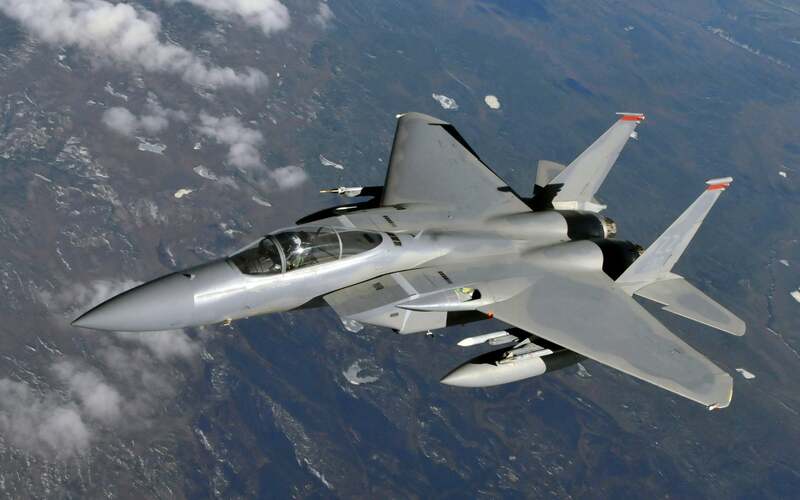 Despite the fact that the F-15 first flew in 1972 - 45 years ago - few fighters can compete with this ubiquitous fighter jet. It has a flawless combat record with 100+ kills and no losses (to enemy fire) in 40+ years of combat service. 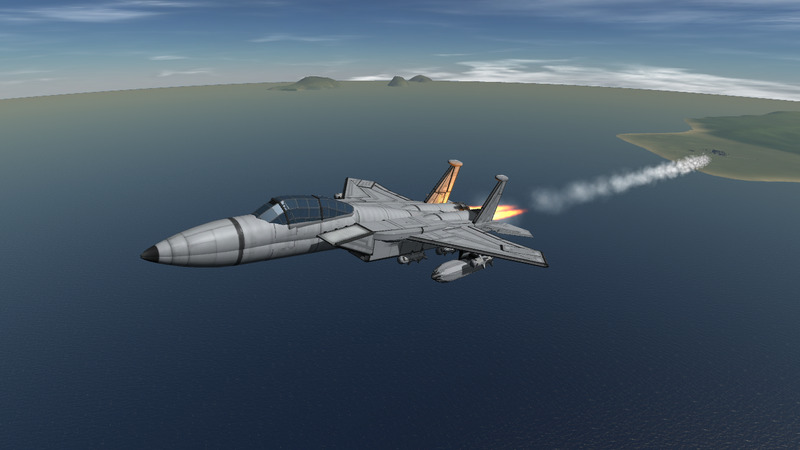 One of the F-15’s greatest assets is its extremely flexible loadouts. 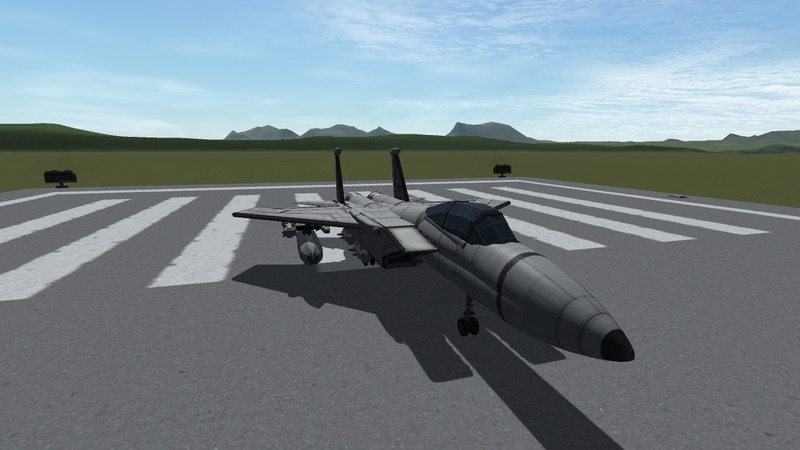 It has 11 hardpoints on the fuselage and wings, and is capable of carrying bombs, missiles, drop tanks, and navigational and targeting equipment. 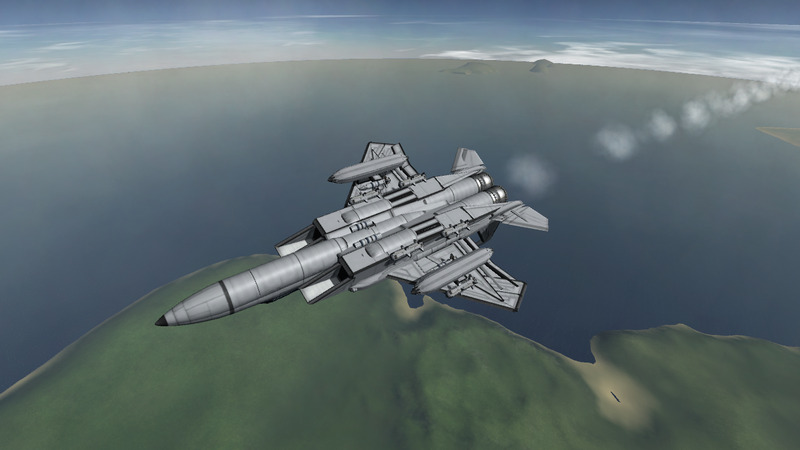 This is a 100% scale replica, designed to be as visually accurate as possible. 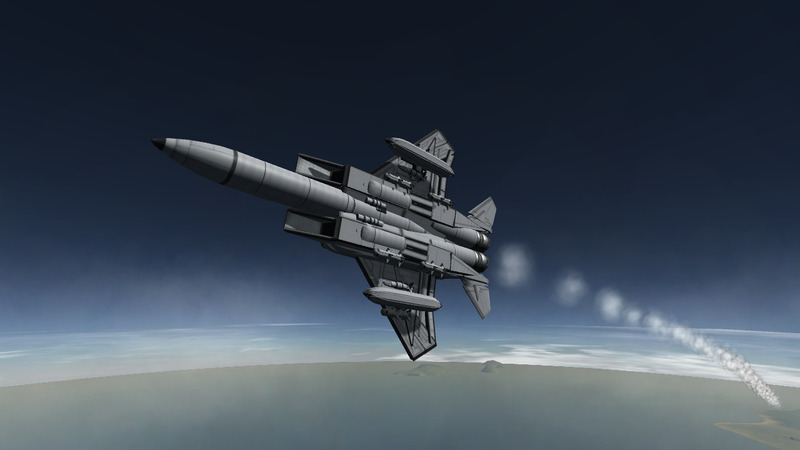 It features eight missiles plus the drop tanks. 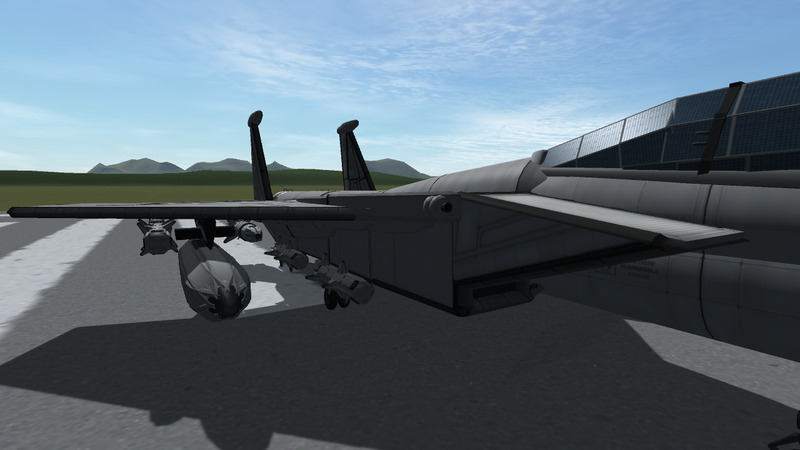 However, that means that the plane itself is almost 300 parts, and the missiles/tanks add another 300 parts. That means that unless your computer is extremely powerful, this beast will lag quite a lot. 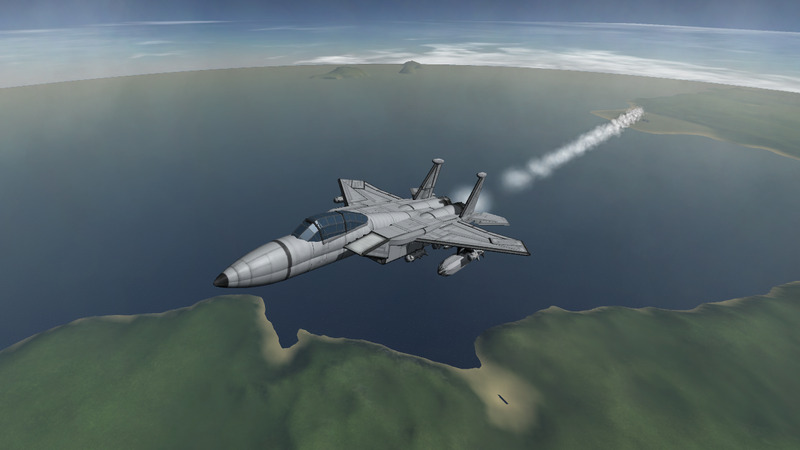 However, if you don’t have a powerful machine, you can remove the weaponry and have an extremely fun and good looking fighter. 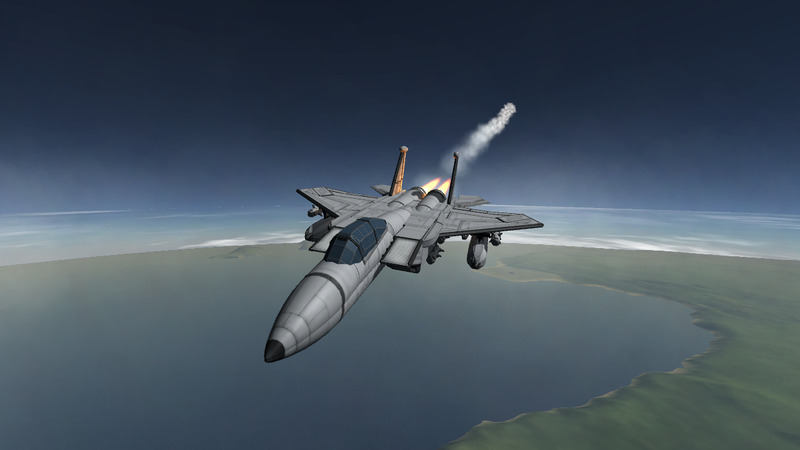 If you’re looking for a maneuverable fighter, look at my F-15 ACTIVE (https://kerbalx.com/servo/F-15-ACTIVE). 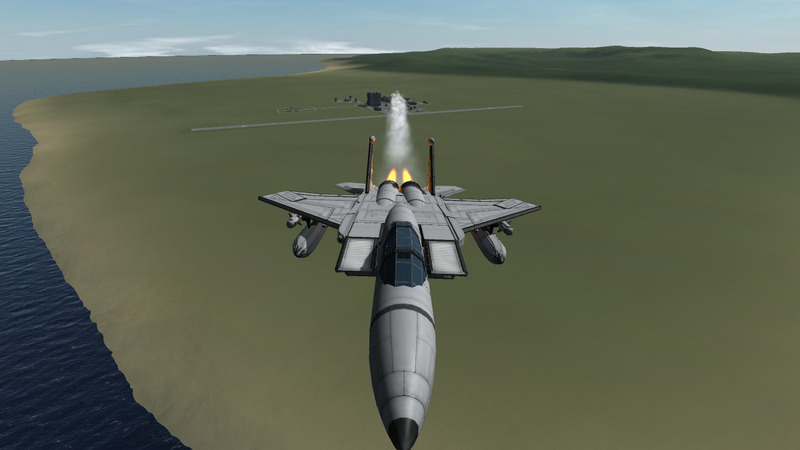 It was an experimental jet based on the F-15 which incorporated maneuverability increasing canards, plus thrust vectoring.